It does not take long for someone to notice Buddy Reed. The 6’4” outfielder from the Bronx commands attention even when he is not playing. Once he moves however, it is hard to look away. To say that the 22-year-old Reed is off to a hot start is an understatement. The University of Florida product is hitting .415 with an OPS of 1.116 with 8 extra-base hits, but as good as the bat has been, the most fun that Reed brings to the diamond may be when he is running. He already has five stolen bases, but you cannot live the full Buddy Reed experience by the box score; it is something that needs to be viewed in person because his speed is changing games. 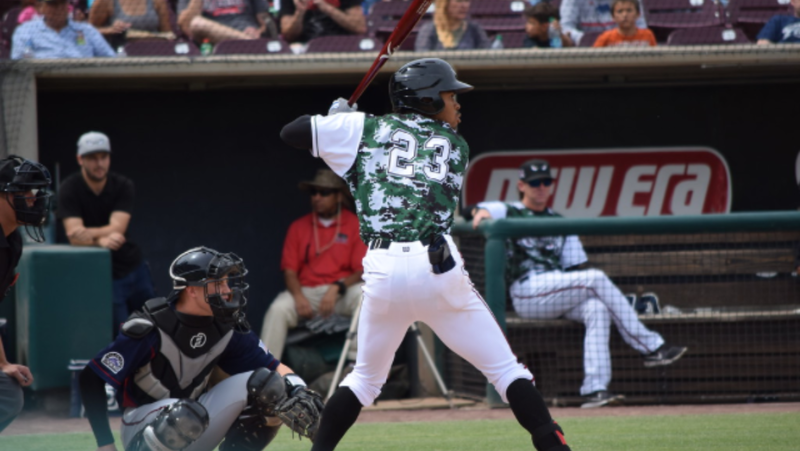 Last Sunday, against the Lancaster Jethawks, Reed showcased the skill with a bunt single in his first at-bat. The speed on the bunt was obvious, but if you focus in, it becomes evident everywhere, and especially when he is playing defense. 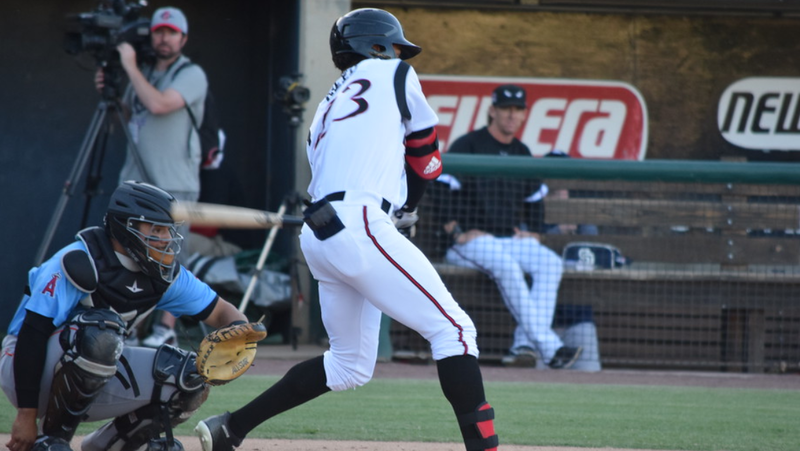 Against the Jethawks, Reed covered a considerable amount of ground to try to take away a home run, but was spoiled by the removable batting cage just over the left field wall. As good as those plays were, the real treat was watching Reed on Tuesday night against the 66ers. It started in the first inning as Reed started his journey on a hustle double, a ball hit to left center field that did not reach the fence. A feet-first slide helped Reed beat the throw from center fielder Brandon Sandoval. In his second at-bat, he ran so fast that he almost caught outfielder Edward Olivares on an inside-the-park home run that one-hopped the 425 sign in center field. Reed scored, standing up, on a ball that was not misplayed by the 66ers. This was speed-induced and words cannot accurately described what transpired because maybe only a handful of people in the world could produce such a result; first a ball hit 420 feet from home plate, and secondly, a person fast enough to score standing up on a play that he had to slow down on so he would not catch his teammate. It was awe-inspiring and for those in attendance. If they blinked, they missed it. For Reed, the speed is obvious. 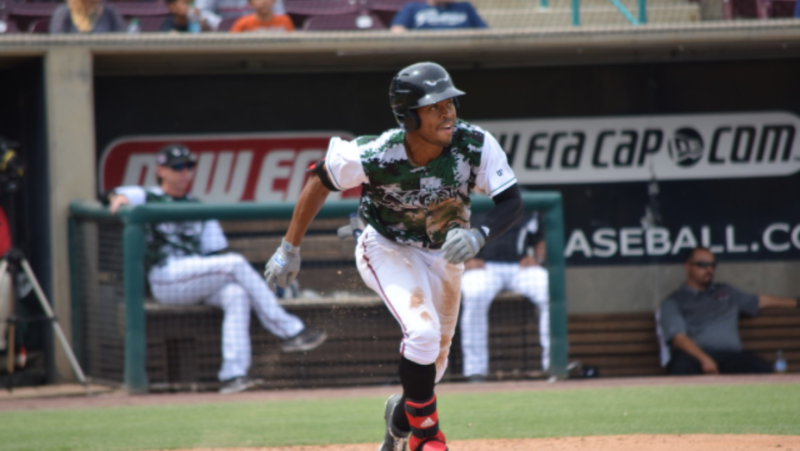 It is what made him a second-round pick by the Padres in the 2016 draft, but for the speed to play, he has needed to work on his hitting tools and work he has done. He spent his off-season in the Australian Baseball League fine-tuning his hitting. This year, he attributes the early success to his hitting coach, Doug Banks. “I’m just trying to put my ‘A’ swing on the ball no matter where it’s at, obviously trying to stay in the strike zone as much as possible,” Reed commented. “Working with [Banks], we work so hard together, we practice and just do a lot together. It’s a lot of fun.” Truer words could not be spoken. For those of you that have seen Reed live, you know just how fun it is. 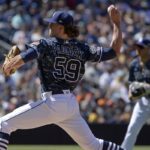 Hopefully, the fans of the San Diego Padres will get to see that for themselves soon. 3-for-4 + a walk, including his 5th HR tonight … what an April!!! Very exciting to add him the list prospects that seem to have an above average chance of making an impact to the 2020 Padres … and beyond! I could not agree more, very exciting times ahead. Hopefully Buddy can keep it going. Enjoyed your article on Buddy Reed. Looks like he’s finally channelling his immense athleticism into baseball skills. If he gains a little more pitch recognition, he could become something special! By the way, you might want to write about those 3 Rule 5 picks the Padres made last year. 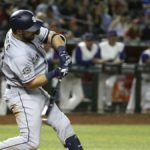 Two of the three – Torrens and Diaz – are starting to show the Padres made wise choices. If Cordoba comes back from his concussion this year, he could also flash those batting skills he did previously in the lower minors. Thanks Randy! I’ll look into that for next time.